After being awarded as one of the winners of the Red Herring Top 100 Europe Award 2014 in Amsterdam in April 2014, the mobile health and lifestyle company dacadoo announces today that it is also selected as one of the 100 Finalists for the Red Herring Global Top 100 Award, which will be decided in Los Angeles November 20th, 2014. 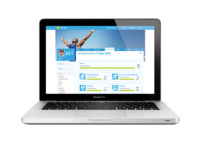 The mobile health and lifestyle company dacadoo offers a comprehensive health promotion and lifestyle navigation solution that enables people to track and benchmark health and well-being in an easy and fun way. 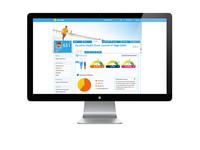 It uses a Health Score from 1 to 1,000 to visualize health and well-being of a person in real- time. The scientifically calculated number works as an indicator and moves up or down, depending on how body values, emotional wellbeing, and activities (exercise, nutrition, stress and sleep) change. To keep people engaged, dacadoo uses gamification, social & collaborative techniques as well as personalized feedback. After having been selected as one of the winners of the European contest of the Red Herring Top 100 Europe Award 2014 in Amsterdam in April 2014, dacadoo today announced that it has now also been selected as a finalist for Red Herring's 2014 Top 100 Global award, a prestigious recognition on a global scale. The Red Herring editorial team selected the companies demonstrating innovative technologies and business models originating from over 1,000 companies from more than 40 nations. These companies, representing past Red Herring Asia, Europe and North America awards, are judged on a range of qualitative and quantitative metrics, including but not limited to, technology innovation, financial performance, growth criterion, management's execution standards, potential globalization of the strategy, and market share improvement. The Top 100 winners will be announced at a special awards ceremony in Los Angeles on November 20th, 2014. Media Contact Information: For communications and public affairs, please contact Transform PR, at redherring@transform.pr, phone (408) 740-5630.